Zig Ziglar was a best-selling American author and speaker who uplifted millions with his motivational message. He was also a savvy salesperson and businessman, who founded the Zig Ziglar Corporation and grew it to a staff of 60 employees. On November 28, Ziglar passed away at the age of 86. 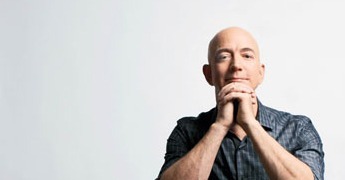 Below I’ve shared 11 inspiring business lessons from his life. It’s possible to get ahead in life by taking advantage of other people. But it’s far better (and easier) to get ahead by understanding what people want and then helping them get it. Once you’ve gone out of your way to solve somebody’s problem, they’ll go out of their way to help you achieve your goals. The goal of every successful startup is to help as many people as possible as much as possible. When you create something that’s of great value to many people, your business is assured of success. Note: here’s an in-depth article about the power of helping others and why entrepreneurs who give more, get more. Seeing success as an end goal is one of the biggest misconceptions of success. Success is actually an ongoing experience, more process than product. At his prime, Ziglar would speak at over 150 events each year in locations all over the world. In the process, he traveled over 3 million miles and wrote 29 books. Ziglar was always moving forward, until the very end. 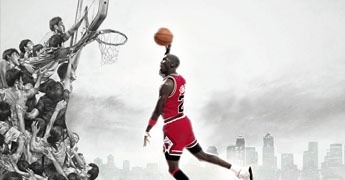 From Michael Jordan to Steve Jobs, every person that’s ever lived has had the same number of hours in a day, week, or year. The difference between people who achieve their ambitious goals and those who don’t is the ability to harness those hours purposefully and efficiently. Next time you feel like don’t have enough time to do what you want to do, think about somebody you admire who’s accomplished that and more. If they could find the time, then so can you. Note: if you want to spend your time better, here are 7 surprising productivity tips for self-employed entrepreneurs. Ziglar saw people get worked into a frenzy at his events only for them to stumble as the days passed and their motivation faltered. That’s why he recommended that people think of getting motivated as part of their daily routine. Zig Ziglar was born prematurely in 1926. According to the doctor, he died nine days later but was revived in the arms of his grandmother. At the age of six, Ziglar’s father died and his younger sister died only two days later. Perhaps it was because Ziglar grew up knowing extreme adversity that he became so grateful for what he had. Ziglar liked to give the example of woman who hated her job — but then started to love it once she reminded herself every morning and every night of everything she liked about her job. Note: if you’re an online entrepreneur, you may want to start with this list of 20 things to be thankful for. This is a principle I’ve noticed at work with my service business. 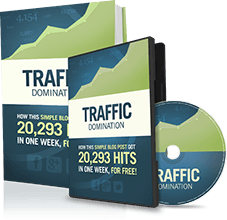 We were able to grow because we treated our $1,000 clients like they’re $10,000 clients. Over-deliver in all you do — and soon you will be rewarded for the extra effort. With fast-food restaurants on every corner and high speed Internet in the palm of our hands, we live in a world of instant gratification. But instant gratification disappears as quickly as it comes — and it often does little to advance your long-term goals. If you always succumb to immediate desires, then you’re always going to be living from one fleeting pleasure to the next. Instead, take action in the present based on what you want most in the long-term. People would often tell Zig Ziglar their problems with co-workers, friends, and spouses. But he would tell them, “You’re not going to change anybody else,” and that they should just focus on responding differently to others. People do what they want, whether you like it or not. Exerting your energy to try to force someone to do something they won’t or be something they aren’t is frustrating to both parties. Sometimes beginning is the most difficult part of a project, especially when we get wrapped up thinking about all of the potential complexities and challenges. If you’ve been procrastinating something important, commit to taking five minutes and completing the first step. You may be surprised how much more do-able the project seems after you simply start it. Note: if you’re thinking about getting started with blogging, check out Income Diary’s beginner’s guide. 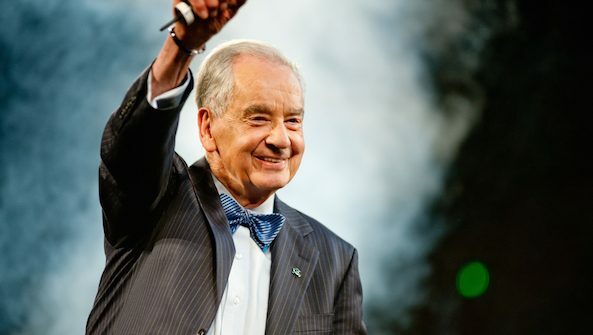 When Zig Ziglar passed away on November 28, 2012, he left behind a family, an organization, and millions of people who have been inspired by his message. 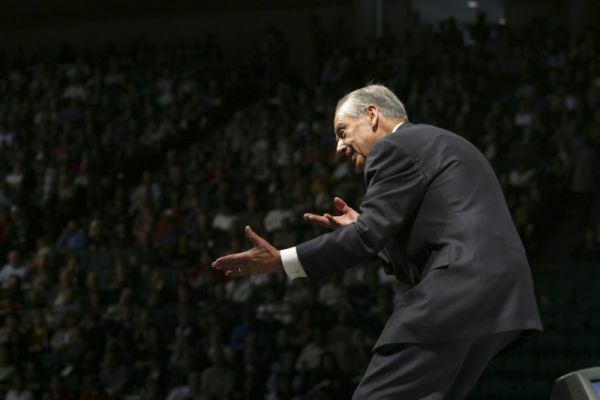 When you lead a life like Zig Ziglar’s, you keep doing good long after your time on earth is over. You can visit the Ziglar.com website here..
Fair thee well friend and Motivator. Brilliant one Nick.. This is epic! Very true. I find that there’s a great deal of overlap between good business practice and good life practice. Grand post. Mr. Ziglar had a large impact on many lives including mine. I l eanred to read as a result of listening to Zig at a seminar. Thanks for sharing. Great People have some very extraordinary views about life/business/professions. Thank you. The name Zig-Ziglar is a new name to me but through your eye I have vivid picture of he was; I like the idea that ”Entrepreneurship is living a few years of your life like most people won’t, so that you can spend the rest of your life like most people can’t.” Great. I am almost done with the initial batch of the years(few years)! Haha — yes, I guess those are the difficult ones, then. Good luck with the rest! We will never forget his motivations, he’s really going to be missed. There’s one thing I noticed about you nick, you blog with passion. Right from your last post “20 things to be thankful for as an online entrepreneur”. And thisI don’t know how to put it but I wish you could understand. I noticed a slight change on ur blog (related posr) or was I blinded to it before? Hmmm… not sure, Samuel. I don’t make any changes to the design personally, but it looks the same as ever to me. I particularly like point number 8. If you just do what feels good now then you are never going to reach any of your long term goals. Yes – I think there’s something to be said for living in the moment too. But resisting short-lived temptation for long-term gain is an essential habit to inculcate. This is a very good post and weirdly I don’t know of any other 20th Century person who has so applicable many real life motivational quotes as Zig Ziglar has. He will be missed and thanks a lot for sharing Nick. Thanks for sharing this information which are very useful for us.keep sharing more and more.